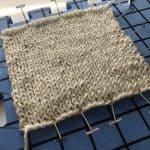 Some years ago, I designed several cabled slip-stitch sock patterns for Mystery Knit-a-Long held in an Estonian craft forum and fell in love ever since. I picked two shades of green to knit up the new design and soon I noticed that the colors and the pattern reminded me of spruce shoots. Hence I named the pattern Kuusevõrsed which means Spruce shoots in English. Sock yarn in two colors. Notes: These abbreviations are used in the pattern. The abbreviations used in the chart are stated below or next to the chart. On knit side: knit to first wrapped st, pick up front leg of wrap from front to back and place on the left needle, k2tog tbl (knit wrap and wrapped st together). On purl side: purl to first wrapped st, pick up back leg of wrap from back to front and place on the left needle, p2tog tbl (purl wrap and wrapped st together). 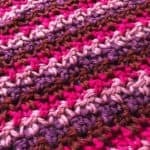 See our tutorial on short rows. Two colored cables create wonderful eye-catching pattern. Pick two contrasting colors or use the odd variegated ball of yarn you love but don’t know what to do with it, as one of the colors. The pattern is not recommended for beginners. 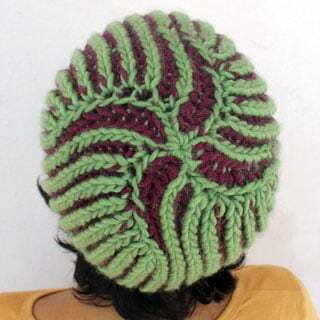 The knitter should feel comfortable with knitting the cables and following the charted stitch pattern. The cable pattern knits up using just one of the yarn colors at a time. The remaining yarn is left hanging at the beginning of the odd numbered row. Knitting involves slipping the stitches in a row that should be the “other” color. The chart has a color bar on the side indicating which color is being worked for each row. Always slip stitches as if to purl; that is, insert the needle from right to left, and carry the yarn on the wrong side of the work. Always work two rows in each color. The contrasting color is the color the cables are knitted in. Toe, heel and ribbing can be knitted in main color or in contrasting color. 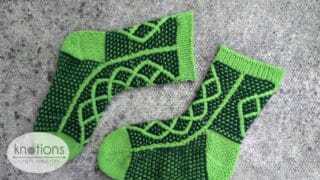 The pattern is written for knitting the socks on dpn’s or on two circular needles from the toe-up with reinforced heels featuring short rows and gusset. The pattern is adjustable in width and length so an experienced knitter can knit the socks even to fit a man. If a wider leg is required increase 2/4/6 sts on the back of the leg on the last row of the heel. Warning: Cable work can limit the stretchiness of the finished sock, keep the yarn floats loose. Note: Familiarizing yourself with some cabling without a cable needle technique will speed up knitting the CP. In the main or contrasting color yarn using two needles, CO 22 (24, 26) sts (with 11 (12, 13) sts on each needle) using Judy’s magic cast on method2, Figure-of–eight cast-on method3 or your preferred method for toe-up knitting. Knit first 11 (12, 13) sts, knit next 11 (12, 13) sts through the back loop, same time dividing sts on four dps’s or two circular needles. Rnd 1: First & third dpn/at the beginning of crn: k1, kfb, k to end. Second & fourth dpn/at the end of crn: k to the last two sts, kbf, k1. Rnd 2 Knit all sts. Repeat Rnds 1 and 2 until the toe reaches 62 (64, 70) sts. For size medium increase one st in the end of the first and third dpn (in the middle of the each crn) when knitting the last Rnd 2 (66 sts all together). The foot is worked following the cable pattern CP (on first and second dpn/ first crn) and sole pattern for instep (worked on third and fourth dpn/ second crn). 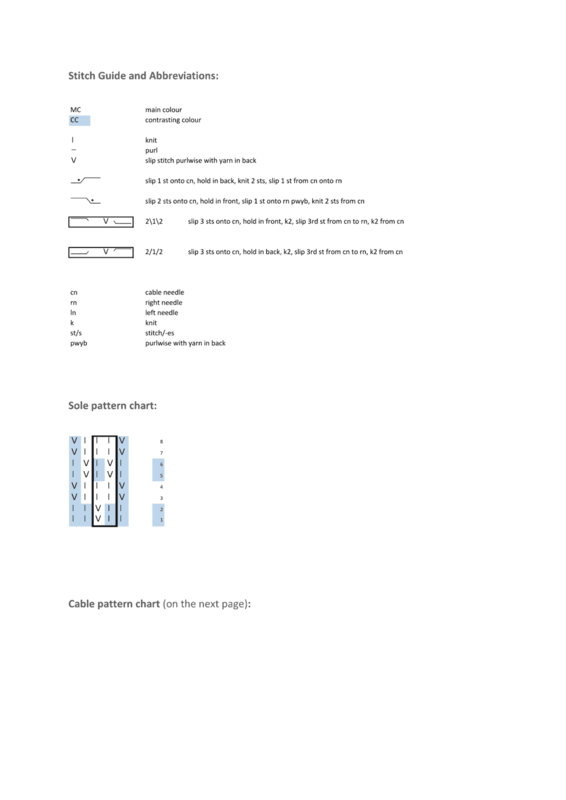 Attach the other yarn and start knitting following charts. When the toe was knitted in main color, start the CP and the sole pattern from row 1. When the toe was knitted in contrasting color, start the CP and the sole pattern from row 3. Rows to be repeated are boxed in the charts. 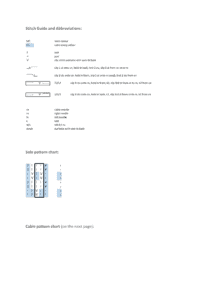 Size Medium (33 sts): Follow the CP chart, omitting columns 2 and 30, repeating columns 3, 4 and 28, 29 twice. 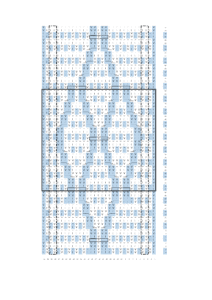 Size Large (35 sts): Follow the CP chart, repeating columns 3, 4 and 28, 29 twice. After reaching to rnd 28 the second time start knitting the gusset by increasing m1R after first sts on 3rd needle (beginning of 2nd crn) and m1L before last sts on 4th needle (end of 2nd crn) on each even row 12 (14, 16) times. 55 (61, 67) sts on 3rd and 4th needle (2nd crn). Both yarns will be at the beg of a rnd. 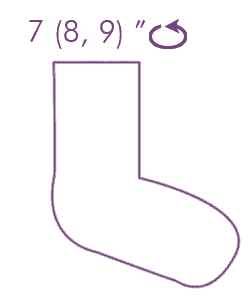 Determine in which color to knit the heel. Cut the yarn in which the heel is going to be knit. Heel turn is knitted on 3rd and 4th needle (2nd crn). Slip the first st and gusset sts. Attach the yarn. The heel turn is worked over next 29 (31, 33) sts knitting back and forth in rows. Repeat rows 3 and 4 until there are all together 11 (13, 13) unwrapped sts on the needles (ending after row 4), and 9 (9, 10) wrapped sts on each side. Knit to the first wrapped st, wws over 8 (8, 9) wrapped sts. Pick up the last wrap and knit the wrap, ssk. Turn. Sl 1, [p1, sl1 wyif] to the first wrapped st, p1, wws over 8 (8, 9) wrapped sts. Pick up the last wrap and purl wrap, st and the first gusset st tog (p3tog). Turn. Repeat last 4 rows until two sts (gusset + sl st) remain at each end. Work the last row, using k2tog instead of ssk, do not turn (do not knit the last purl row, one gusset st and one slip st remains on the purl side). Cont working in rnd over 31 (33, 35) sts in CP pattern on the top of the leg. On the back of the leg follow CP pattern over 31 (33, 35) sts omitting the cable (knit just dotted background with columns on each end). At the beginning of the first row decrease remaining gusset st by ssk first st and remaining gusset st. Total 62 (66, 70) sts. When CP pattern on the top of the leg reaches rnd 33, start working CP pattern from row 1 on the back of the leg. Continue working in the round in CP pattern to ow 70 on the top and back of the leg. Decide which color you would like to knit the cuff in. Cut the other yarn. Note: Some knitters might do their own adjustments, knit the sole longer and are not able to start the CP pattern on the back as stated above. In that case when CP pattern on the top of the leg reaches row 51, start knitting CP pattern from the same row 51 on the back of the leg. 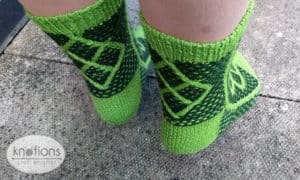 The cables on front and back will line up, but the motif on the back of the leg will have three diamonds instead of four. Repeat rnds 12 and 13 one more time. Cut yarn leaving the yarn end four times longer than circumference of the sock. Bind off loosely with tapestry needle. Weave in the ends. Soak and block the socks. 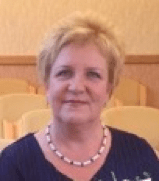 Arella Seaton is an Estonian lady living, knitting and designing knitwear in England. Estonia is a small Baltic country with a big knitting tradition. Lace knitters love Haapsalu lace but do they know Haapsalu is a small town on Baltic coast where even school girls knit lace shawls? 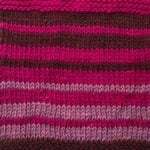 Several knitting terms originate from Estonian: nupp/nupps (sort of bobble), roosimine/roositud (inlay technique), vikkel braid/ Estonian braid etc. Growing up in Estonia, it seemed natural to knit, crochet and sew. The basic skills were taught at secondary school where everybody had to knit a pair of socks and mittens. Arella can’t even remember when she learnt to knit or crochet. Her mum knitted socks and mittens, so did her granny and her great auntie liked to knit lace tops in fine cotton thread. Arella loves to design her own patterns and recently she started to write them down. Most of her patterns get test knitted. If there are any problems, please feel free to contact her. 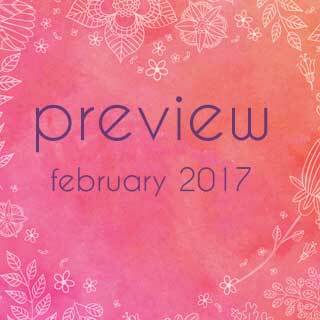 Join the designer group CraftArella Knits here in Ravelry for news, test knits, KALs, MKALs and chat. 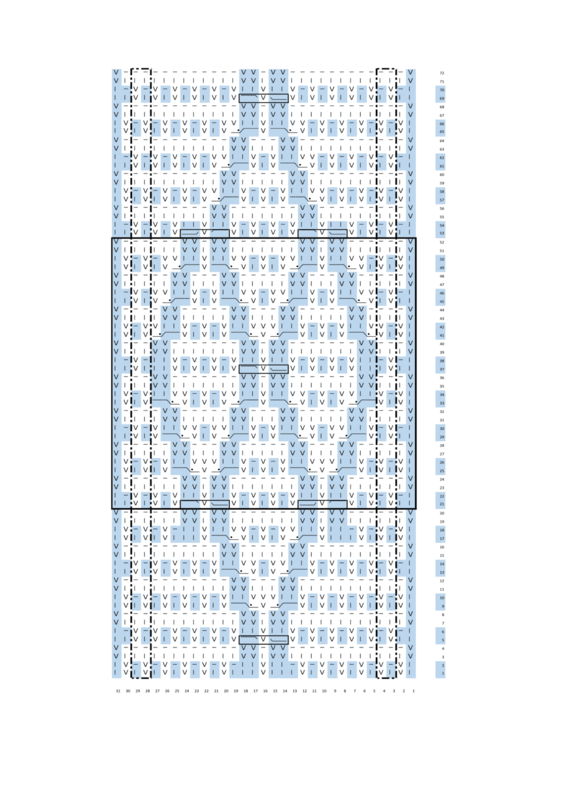 This is a gorgeous pattern, but one problem: the charts are unreadable. 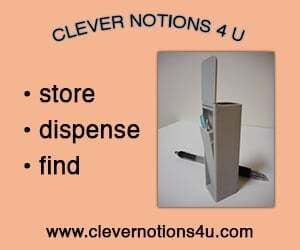 They’re incredibly tiny, and though it says “click to enlarge” for both, there’s nothing to click on. It will let me PIN them, but that’s not at all helpful for working the pattern. Hope this will be remedied soon! I’m so sorry about that! It’s fixed now. Thanks for letting me know and I apologize for the error!